The first game of the Dodgers spring begins this afternoon at Camelback Ranch. They'll face off at 12:05 PM PST and it'll air on SportsNet LA. 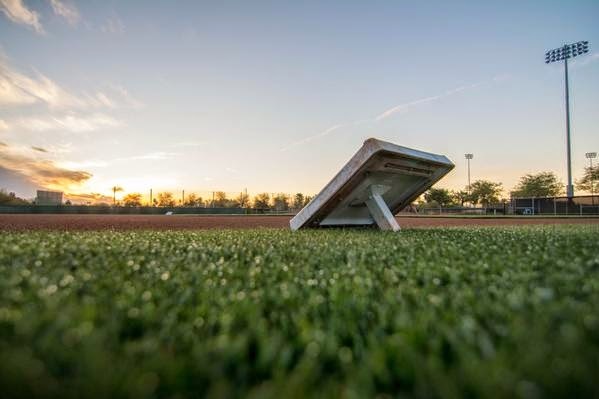 For a brief history of Dodger spring opening days check out Eric Stephen's post at True Blue LA, "Dodgers spring training history: A history of Camelback Ranch openers." Photo above via @Dodgers on twitter. Via Ken Gurnick at MLB.com, "Urias reminds Kershaw of early days with Dodgers." "They did a really good job with me," said Kershaw. "I was frustrated when they would have me pitch in relief to cut my innings, but the way they did it was perfect. By the time I was ready for a big league season, I was ready for 200 innings." 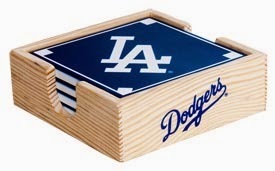 Here's a sneak preview pic of the Dodgers coaster set they are giving away to fans on Wednesday, May 27th. Go here to check out the Dodgers complete promotion schedule. Via Mark Saxon at ESPNLosAngeles.com, "Mike Adams expects to make team." Mark Saxon also writes a bit about Joc Pederson and his problem with strike outs: "Joc Pederson has big upside, but big strikeout total." Here's something you should know if you're a vintage pinback collector. Check out bpb47's post at baseballpinbackbuttons, "Lithograph Pinback Buttons (And One Unique Contraption)." It's a fairly detailed look at the development of several different kind of vintage pins.